Virtually everyone in the United States understands that we are all presumed innocent when charged with a crime. While there is that presumption in the courtroom, in the court of public opinion there is no such presumption. That is indeed understandable. 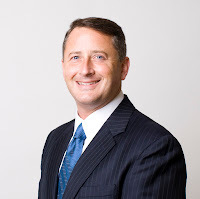 For example, it is really difficult to look at the facts, and conclude there is a situation by which my former law school classmate, Timothy Durham, is not guilty of swindling investors. But as a juror, I would have to promise to abide by that presumption of innocence. ﻿﻿﻿﻿﻿﻿But while the presumption of innocence doesn't apply to the public arena, maybe there are times when it should. 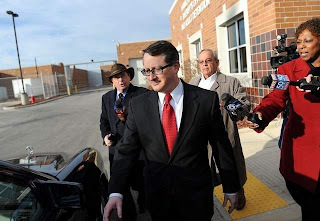 Let's take the case of Secretary of State Charlie White and the rush to judgment that he is guilty of the seven felonies with which he has been charged pursuant to a grand jury finding. First, for the lay people, the grand jury process is one-sided. The grand jury only hears whatever evidence the prosecution chooses to present. The defendant has no right to introduce evidence. It has often been said that prosecutors can get a grand jury to indict an empty chair. An exaggeration perhaps, but it illustrates the truth regarding the one-sided process. So let's examine the charges and see how the prosecution's case can easily fall apart. Most of the charges are premised on the notion that Charlie White had to be lying about living at his ex-wife and new husband's address at 7527 Broad Leaf Lane in Fishers. After all, who would be on good enough terms to live with an ex-wife? It has to be a lie. That is what everyone just assumes. But was it a lie? Believe it or not, some people remain on good terms with exes. It is not completely uncommon for divorcing spouses, once the smoke of divorce clears, to revert to an underlying friendship as their lives move in different directions. Before looking at the specific charges, let's ponder motive. What motive would there be for Charlie White to claim to have used his ex-wife's address as his residence rather than the condo he bought at 13086 Overview Drive? Was it really critical for him to remain on the Fishers Town Board when he's running for a much larger and more important office, Secretary of State? Did he want to cast a vote in a race which would not have been on his ballot should he voted using the 7527 Broad Leaf Lane address. What race would that have been? The races on the primary ballot in the two precincts would have been virtually identical. Nobody has really considered motive, but it makes no sense that White would commit multiple legal violations because he wanted to stay on the town board or vote in a particular race. ﻿﻿Here's a possible motive for Charlie White to have changed his address to his ex-wife's. Maybe.that's exactly where he was staying while his fiance was staying at the condo he bought. If White has witnesses who will testify that he was staying at his ex-wife's house at the end of each day of his long arduous state-wide campaign, that's exactly where he should be registered. It also means there is reasonable doubt and most of the charges against White fail. Quite possible witnesses were ready to testify that the White was in fact residing exactly where he was registered. That doesn't mean the grand jury ever heard that evidence. Again, the grand jury only hears what evidence the prosecutor chooses to present. Now let's look at the specific charges. Count 1 (Submission of a False, Fictitious or Fraudulent Registration Application), Count 2 (Perjury - Lying on Voter Application), Count 4 (Voting in Other Precinct), and Count 5 ( Procuring, Casting or Tabulating a False Fictitious or Fraudulent Ballot), are Count 6 (Perjury - Lying as to Residence on a Marriage Application) are all based on the claim he did was not residing at 7527 Broad Leaf Drive but rather living at 13086 Overview Drive. If, as noted, White introduces evidence that he was staying at his ex-wife's house, that knocks out 5 of the 7 felony charges. Count 3 (Fraud on a Financial Institution) is a contradictory charge. It says that White took out a loan for his condo at 13086 Overview Drive when in fact he didn't ever occupy that residence. (The reason why you might do that is that people who reside in the house or condo they are buying get a better interest rate than someone who doesn't live there.) In this charge, the prosecution is saying that White wasn't residing at 13086 Overview Drive, when in the other charges the prosecution says he was living at that address. With my real estate background, I know all about the occupancy requirement. It is intent to occupy the home at the time of closing. That's the issue. If White intended to live at 13086 Overview Drive when he signed the papers, he's free and clear of that charge even if he didn't actually occupy that residence. As someone who has complained extensively about unprosecuted mortgage fraud in this state, I find it offensive that the prosecution is wheeling out this charge against White. I'm sure the mortgage company isn't complaining about what did. That leaves one charge, Count 7 (Felony Theft). The notion is that White had registered in a precinct outside of his district and, thus was no longer eligible to serve on the Fishers Town Council and, therefore, any pay he received is "theft." The charge is a stretch at best. There is no allegation that White failed to show up for work to earn his undoubtedly paltry town council salary. If White did the work, he gets paid and it is not theft. That he may not have resided in the district anymore goes to his qualifications to serve, not the basis of a theft charge. Of all the charges, this is on paper the weakest charge, one a judge is likely to throw out if the prosecution refuses to drop it. By my count, that's 7 for 7 and complete acquittal of all charges. If that happens it will be interesting watching Republicans and Democrats, who have all along presumed White guilty, admit they might have been hasty in their judgment. Of course, for Charlie White, you have to wonder where he will go to get his reputation back. I just wish the Secretary of State's office would release the report Rokita had prepared. There is absolutely no reason for withholding it. That public access counselor's opinion saying it was not a public record that is disclosable under the law was total BS. Wow Paul. This is just one excuse after another. What politician that works in a district does not know their district? If he was not legally registered to vote, then why is he qualified to serve as the state's highest election official when that is clearly in the statute? I could care less if he is acquitted or not. It's just sad that the Republican Party allowed White to remain on the ballot and keep these kinds of questions alive. He was, in my estimation, not fit to serve as Secretary of State. Jon, what in what I've written suggests he was "not legally registered to vote?" If he was staying at his ex-wife's house, where he registered to vote, then that is exactly where he should have registered and the case against him falls apart. Are you saying that he should have registered someplace he wasn't living? I don't agree with that. AI, I totally agree that report shouled be released. I don't understand why it hasn't been. Paul, Really? Serously? The man told us to our faces that he broke the law. He admitted that he voted in the wrong place, he said it was an honest mistake. Paul, a Confession is a confession no matter how the lawyers want to spin it. We all understand that there maybe a position for you in the SOS office,however, even you cannot discount his confession. I'm with AI - that report should have been released a looonnnngggg time ago. I seem to remember a statement by White that he did vote from the wrong precinct. Am I misremebering that? You're right, Gary. The Public Access Counselor is a joke, a hack and loyal apparatchik who will gladly keep government closed to inspection.